If it has vegetables in, does that mean it counts to one of your five a day? Well at least its healthier, right? 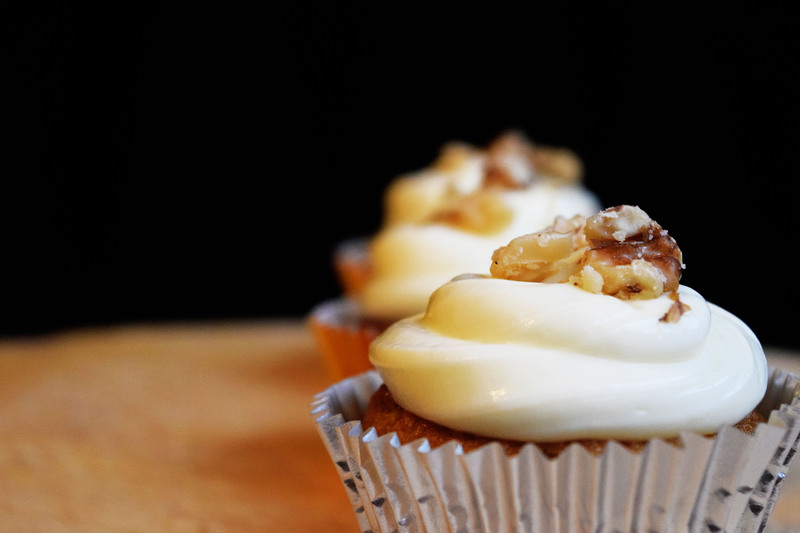 I love carrot cake, they do make me feel like I’m being ever so slightly healthy while enjoying one of my favourite food (cake!). 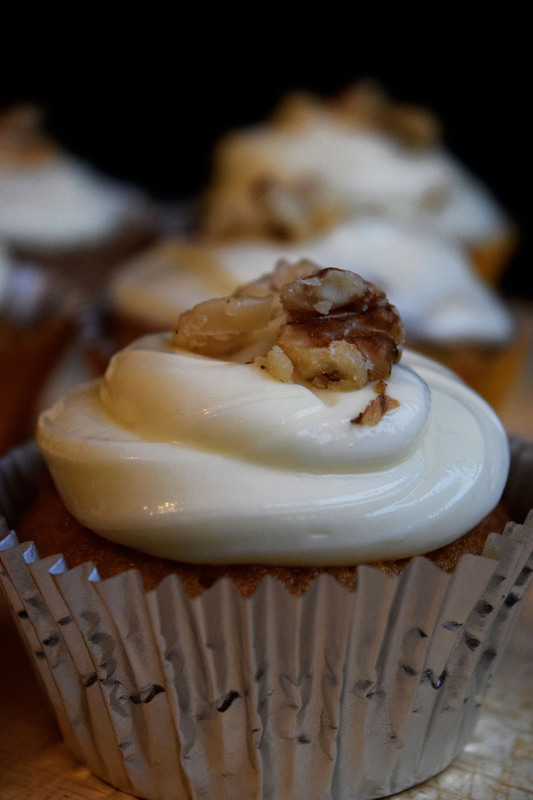 My favourite part of the carrot cake however is the cream cheese topping. 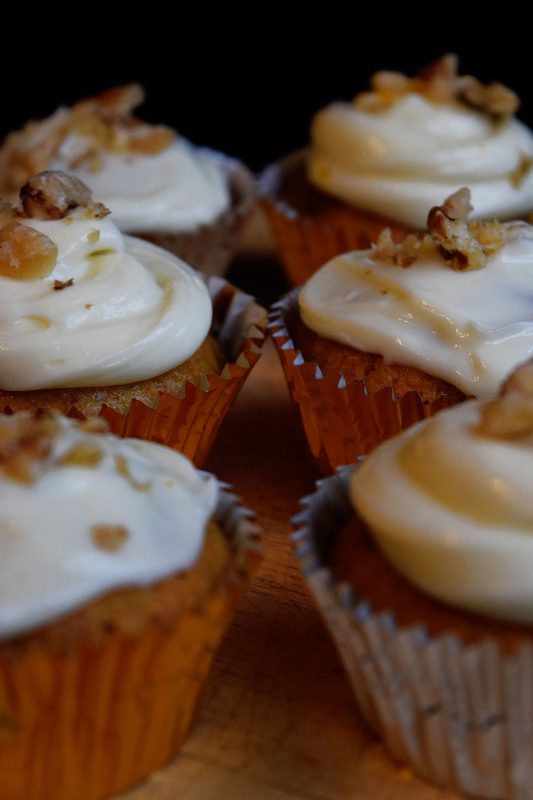 I made these carrot cupcakes a few weeks ago and shared with my colleagues at work. They were really moist and scrummy :). I thought I’d share the recipe with you lovely people. Mix oil and sugar together and add eggs, one at a time. Add the carrots, raisins, sultanas, walnuts, cinnamon and orange rind and stir in. Fold in the self raising flour and baking powder. Spoon the mixture into the cupcake cases. Pop into oven (160⁰c) to cook for around 20-30 minutes or until cooked. To make the cream cheese, beat the butter for a few minutes then add the icing sugar. Beat together until the mixture is smooth. Add the cream cheese and beat until it is all incorporated. Beat until light and fluffy. 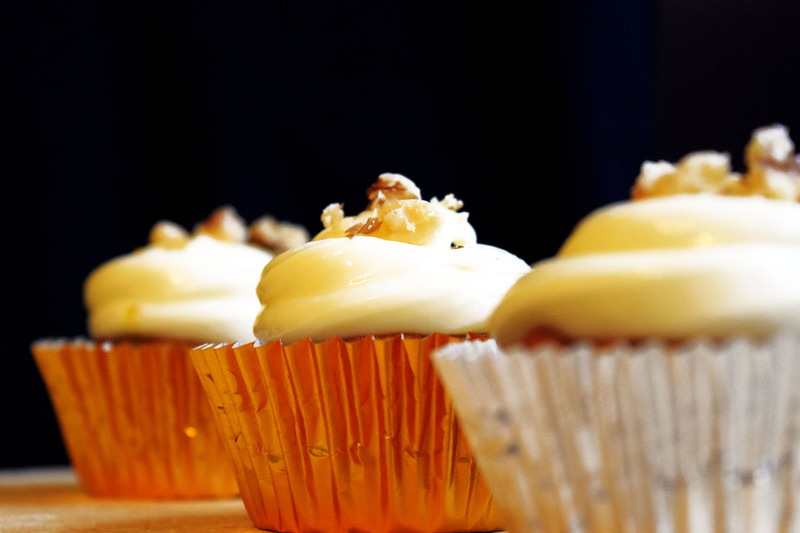 Once cupcakes are cooled, pipe the cream cheese butter cream. And lastly, share and enjoy! What other vegetable or fruit cakes do you like?